The design reportedly divided residents, but you wouldn't know it by the overwhelming show of support at a city council meeting. 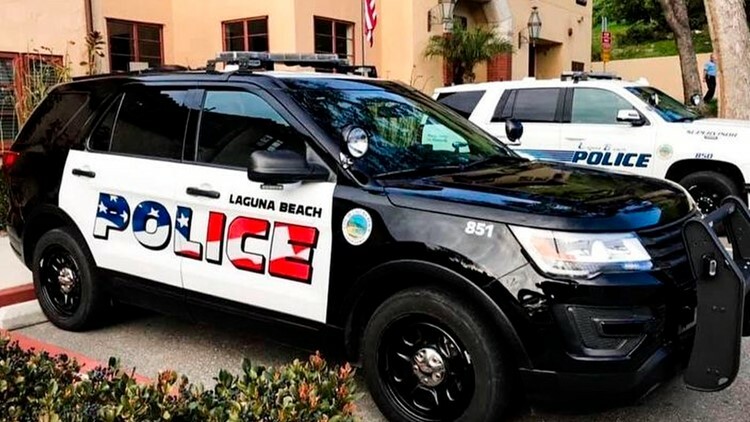 City leaders of Laguna Beach, Calif., voted Tuesday to keep an American flag design on police cars after an overflow crowd at a city council meeting voiced support for the red, white and blue. After reports that the design was dividing residents, the city council in the small, Southern California coastal city discussed whether to keep the new stars and stripes logo within the word "police" or to choose an alternative. Some residents felt the flag design was too aggressive, the Los Angeles Times reported Monday. You wouldn't have known it by the crowd -- reportedly hundreds of people -- that attended the Tuesday meeting. All but one person supported the flag design. Reporter Bill Melugin of Fox 11 in Los Angeles tweeted some of the comments. Nearly everyone who could fit into the room raised their hands when asked if they supported keeping the logo. One person raised their hand when asked who supported a different design. A veteran said he was disgusted that anyone would consider the flag offensive and said anyone who didn't support it likely never fought for it. A woman in support of the logo broke out into singing "The Star Spangled Banner." The rest of the room joined her. The council reportedly voted 4-1 to keep the American flag logo.